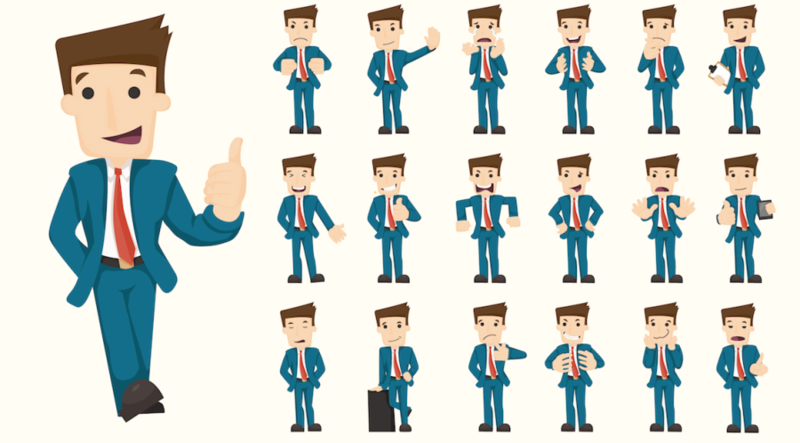 What are Micro Personas and Do You Need Them? Buyer personas are the most important element of a successful inbound strategy because they define whom you’re actually trying to attract, convert, close, and delight. Regardless of the type of business you’re in, chances are good that you have at least one buyer persona. In fact, many businesses have more than that: on average, most organizations have somewhere between 3 and 5 real, solid, clearly delineated personas. But for those of us who are on the front lines and actually interacting with customers, clients, prospects, donors, and users on a daily basis, it can sometimes seem like every individual is completely and totally unique – each with their own goals, challenges, role in the sales process, background, and beyond. Over the course of a day of talking to customers, it can feel like you have 10, 20, or more persons – nowhere near the average 3-5 number. While it’s unlikely most businesses actually have 20 unique personas, it’s quite possible that they may have that many (or more) micro personas. What is a Micro Persona? While standard buyer personas (which, in this article, we’ll call macro personas moving forward) differ based on the high level goals, challenges, wants, and/or needs of an organization’s customers or users, micro personas differ based on more subtle features – for example, differing preferred means of communication. One macro persona may have many micro personas, but each micro persona can only be a subset of one macro persona. Marketing Mary is a marketing manager at a company with 50-200 employees whose main goal is to get more leads and prove the ROI of her efforts but feels like she doesn’t have enough hours in the day to accomplish everything she needs to. A. Highly tech-savvy, wants an automated solution for everything, and not afraid of using new technology to get the best results. B. Not tech-savvy, intimidated by new technology, takes a long time to warm up to new systems. D. Has only one or two people below her and is responsible for doing many tasks herself. A. Was previously a successful member of the workforce and has many profitable, marketable skills (for example, was a developer). B. Was previously a successful member of the workforce but skills are not as marketable or profitable (for example, was a call center specialist). D. Children are in elementary school and will still be living at home for at least another decade. Note: In each of the previous examples, there could be many more micro personas (i.e. variations) of the overarching macro persona – there is certainly no rule for how many micro personas each macro persona can or should contain. In essence, micro personas are the “shades of gray” of each macro persona: they’re not so granular that they define the specific individual people that belong to each persona group, but they are at least one level of detail below that of the overarching macro persona. Just like macro personas, any and all businesses can have micro personas. However, since they are, by nature, more detailed, specific segments than their larger macro counterparts, taking the time to develop micro persona (and market to them) isn’t necessarily the best use of every marketer’s time. Such “initial stages of customer interaction” include beginning-of-the-buyer’s-journey, top-of-the-funnel marketing activities such as publishing blog posts and creating landing pages, where developing individual assets for twenty different micro personas simply isn’t a practical solution for most organization – relative to the amount of time it would take to complete such a task, the returns would be minimal. On the other hand, micro personas and creating specific content for them can be much more beneficial in the context of more middle- or bottom-of-the-funnel type content. The subtle variations between persona groups that micro personas highlight hold the greatest value for more specific and focused forms of targeted marketing, such as the e-mail campaigns that are hallmarks of lower-funnel marketing activities. Inbound marketers have long championed the importance of buyer personas to creating the most targeted content and delivering that content to the precise segments for which it will be most relevant. Many organizations are just now beginning to recognize the need for – and potential role of – micro personas in a comprehensive marketing strategy. While they may not be for every organization, when used correctly, micro personas can greatly benefit an inbound marketing strategy. This article was syndicated from Business 2 Community: What are Micro Personas and Do You Need Them?